VOA Special English - Could Vitamin C Help Fight Tuberculosis? A new study suggests that a low-cost nutrient could help drugs fight tuberculosis more effectively. 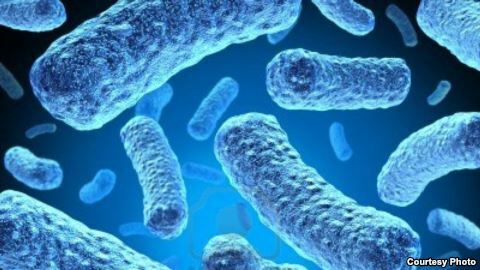 The study found that anti-tuberculosis drugs killed more bacteria in laboratory mice when the mice received vitamin C.
The authors say the findings could offer a low-cost, safe way to reduce the long treatment time for one of the world's deadliest diseases. They also say the vitamin supplement could offer a way to fight tuberculosis that is resistant to antibiotic drugs. Tuberculosis, or TB, is one of the leading causes of death worldwide. The World Health Organization says 1.7 million people died of the disease last year. About 600,000 cases were resistant to the leading drug out of more than 10 million new infections. Antibiotic drugs attack TB bacteria, but a small number survive by going dormant. If the patient stops taking the drug too soon, these dormant bacteria increase and the patient gets TB again. However, the new infection often is resistant to the drug. Current TB treatment takes six months, largely to ensure the dormant bacteria die. But it is hard for patients to continue treatment for so long. 'When we first discovered it, it was like, 'Wow! There's just so much we don't know yet. And wouldn't that be really cool if it really works,' Jacobs said. Jacobs and other researchers treated TB-infected mice with two standard drugs in the study. One group of mice received a large amount of vitamin C. A second group did not. The researchers found that the mice treated with vitamin C had about ten times fewer bacteria in their lungs after several weeks than mice treated with drugs alone. However, the researchers have not carried out a similar test on humans. There has been very little research on vitamin C and TB. However, it is 'a safe compound, it's widely available, it's inexpensive,' noted David Alland. He is associate dean of clinical research at Rutgers New Jersey Medical School. If the vitamin C treatment works, Alland said it would increase the effectiveness of the drug at very little cost. 'You'd get a big bang for your buck,' he said. Steve Baragona reported this story for VOA News. Susan Shand adapted it for VOA Learning English. Mario Ritter was the editor. anti-oxidents – n. a substance that is added to food and other products to prevent harmful chemical reactions in which oxygen is combined with other substances. journal – n. magazine that publishes on a certantc.